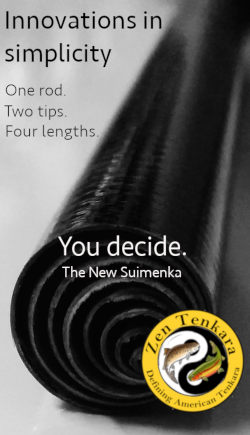 I’m not one of those tenkara anglers that only fishes one pattern. But I do only fish one fly at a time. There’s no idealogical reason behind it and I don’t think there’s anything wrong with fishing a dropper or even a cast of flies. 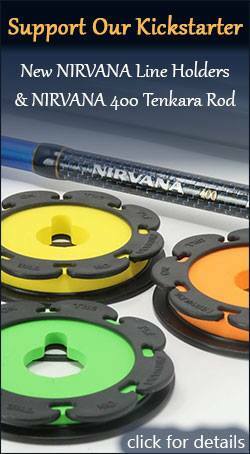 In fact, I fished droppers for years before I started tenkara fishing and was a huge advocate of it. The reason I stopped is practical, not philosophical. I think there were about 5 main reasons that eventually convinced me to drop the dropper. 1. It’s difficult to present two flies well at the same time. If you have a dry fly that is designed to float, then tie a nymph (which is designed to sink) to it, they’re competing against each other and probably creating drag. At times, one or the other might be presenting well, but rarely both at the same time. The dry fly is on the surface where the water is faster, whereas the nymph might be on the bottom where the water is slower. For a time, they might both be in a good dead drift, but at some point they’re going to start creating drag on one another. I find it much easier to just focus on fishing one or the other to make the best presentation. 2. Having two flies can increase snags & tangles. I remember getting far more tangles and snags when I fished a dropper than when I didn’t. I guess it makes sense from a statistical standpoint that having two hooks increases your chances of getting a snag than having just one. 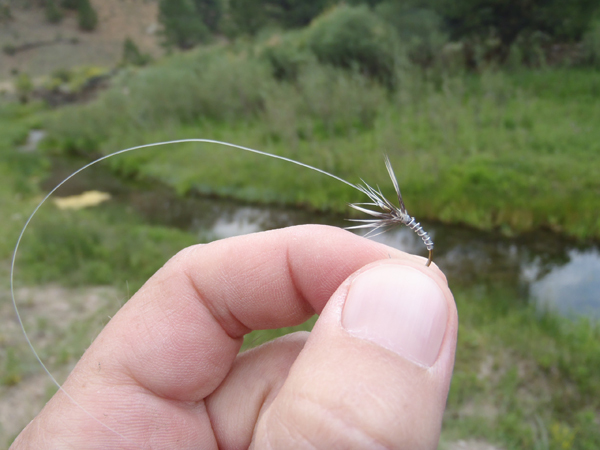 I also remember getting more tangles than when I only fished one fly (probably because the weight of each fly can cause the line to wrap around itself during the cast). I’m really good at untangling line, but I hate wasting time doing it. 3. It can increase your chance of foul hooking a fish. There are at least two ways this can happen. One, is when a fish goes for the main fly, misses it, you set the hook, and the point fly snags the fish. I’ve had that happen on many occasions. The other is when landing the fish. The fish has one fly in its mouth and is flopping around in the net or the water and catches itself on the other hook. Now, you’ve got two hooks to remove and probably some tippet tangled up in fins and gills. I like to get the fish back to the water with as little drama as possible so I’d rather eliminate this. 4. I hate spending extra time rigging and re-rigging. In order to avoid #1, you need to adjust the length of the tippet between the main fly and the dropper according to the depth of the water. I’d rather just fish than spend time re-rigging for every different situation I encounter. Plus, if you break both flies off on a snag, now you’ve got two flies to tied back on instead of one. 5. 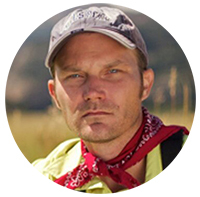 Empirical evidence has shown me that droppers don’t actually increase catch rates. Using a dropper system works (that’s why people do it). But I’ve noticed no difference in the number of fish I catch when using a dropper vs. not. So, given all of the above, if it makes no difference, why bother? Your experience with fishing multiple flies may be different than mine and I’m not suggesting that if you’ve got a dropper system that works you should abandon it. But for me, it’s like having kids. Taking care of one is already enough to deal with. Taking care of two or three is…well,, if you’re a parent, you’ve already gotten the analogy. I’d rather give my full attention to presenting one fly well rather than two flies mediocrely. Two heads may be better than one. But for me, one fly is better than two. I have to agree with every point. It seems every time I ever fished a dropper my angst grew – let alone my troubles (which may speak to my skill level as a fly-fisher). The only time I think I can say I truly enjoyed fishing a dropper was fly-fishing on some quite open water on the Beaverhead/Jefferson in Montana. So maybe on larger waters. 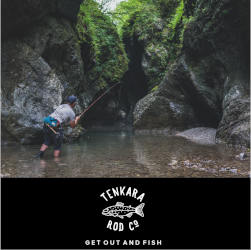 As far as tenkara or any fixed-line fly fishing method goes, I think that the dropper method is not necessarily in line with the technology/premise. That would include pin-point casting to pocket water, having a near-perfect drift, and especially when fishing thinner waters. Fishing a wet or nymph as a dropper would certainly also interfere with pulsing the fly which can simulate a nymph rising to the surface. A lot of the water I fish is short pocket water where you’ve maybe only got a 2 or 3 feet to make a presentation. To me, such close quarters don’t lend themselves well to droppers. Agree they’re better on longer runs in more open water. 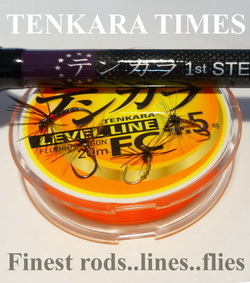 The reason why I have never used droppers is that it is a good way to fish without learning anything about what is, in my opinion, one of the most important thing in Tenkara : kebari drift control. I am also convinced that lines with droppers are more difficult to cast. 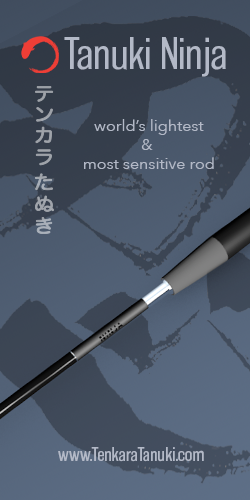 Christophe, yes they’re certainly not that elegant to cast with a tenkara rod. Except for the time and trouble they take, I’m fond of multiple-fly rigs. Nyphing on the San Juan Quality Waters, I customarily and regularly used three flies. I often use two flies these days. Your post made me pause and wonder why I am so fond of fishing more than one fly. Upon reflection, I think it is that I enjoy my sense of surprise at seeing which fly the fish took. A sort of adventure inside an adventure. I tend to agree with your assessments Jason. I equate multiple fly setups to multitools, kinda handy but never seem to do any one thing very well. Think spin/fly rod combos or leatherman tools. Paul, do you find that you catch more fish on one fly than the other? When I fished multiple flies, I seem to recall catching the most fish on the point fly. What’s your experience? The only fishing where i use a 3 fly rig is when trageting sardines. Is very fun to have all 3 hooks hit at once? Hi Carlos, that may be fun with Sardines. But imagine having three 5 lb. trout on the line at once! LOL.